Prices for our training courses do not include VAT. To download our training brochure, click here. This webinar is ideal for people new to writing for PR and communications and those who want to brush up on their core skills. You’ll learn how to write press releases that appeal to journalists, how to avoid time-consuming mistakes and how to put a blog or article together. You’ll get tips on writing headlines and ideas for varying your writing style to suit your different audiences and objectives. ‘People tend to believe that the ideas which come to mind most readily are the most important… the principal determinant is the extent of media coverage’. So says Daniel Kahneman, a Nobel prize-winner and one of the ‘fathers’ of the new science of Behavioural Economics. We all know that PR works. So do our clients. But exactly how does PR produce its business effects? This webinar is designed for beginner-to-intermediate communicators. It will give you the knowledge and confidence to develop a low-cost, effective internal communications and engagement campaign. Paid Media is now part of the PR mainstream, as increasingly we have to pay to gain access to online audiences. We’ve become advertisers almost by accident and as a result can now gain a holistic view of activity that was often siloed in separate departments. A key phrase for public sector and not for profit communicators is to get ‘more for less’. Budgets are continuing to shrink and there appears to be no let up for the next four years. We all have to find ways of cutting budgets but having a bigger impact. But to achieve this where do you start? How do you develop no or low cost public relations that will get you noticed? Experts say that 9 minutes a day is the magic number for personal branding - something that is not only important for you, but also your company and teammates. Even for the busiest of people, 9 minutes is a manageable portion of time to dedicate to building brand ‘you’ online – and it amounts to 45 minutes a week. In just a few months, you can establish yourself as a thought leader, raise the profile of your company and appeal to more clients, as well as skyrocket you and your company's SEO. Communications is a fast-moving and high-pressure environment which makes it rewarding and exciting. However, working in such an industry can also bring challenges too. Society is thankfully making progress in breaking down the stigma surrounding mental health and more specifically, mental ill health. With an increasing amount of video being viewed online, particularly shared through social media, it is now more important than ever for PR to take ownership of the creation and seeding of engaging branded content. Increase the effectiveness of your influencer outreach by coming along to our Influencer Relations Best Practice webinar. The growth of social media has given public sector communicators a great way to maximise the information that they have at their fingertips. They can now be their own publishers and use the new technology to gain the most impact. So what is the challenge? Politicians make decisions that impact on businesses, charities and other organisations on a daily basis – some positive, some less so. Many organisations have no strategy for dealing with or interacting with politicians, and only turn to public affairs when they face a crisis. According to the Sleep Council nearly half of us are getting six hours sleep or less a night and four out of five people complain of disturbed or ‘toxic’ sleep. With the pace of life, the uncertainty around the world and the stresses we are under in our lives, it is imperative we make room for proper rest and recovery. Only one in four new business pitches wins. What factors will make your new business presentations beat the average? This seminar uses the presenter’s experience of working with both agencies and clients to pinpoint the elements which will make your pitch stand out, create an emotional impact and achieve memorability (most don’t). According to Mindful.org, mindfulness is ‘the basic human ability to be fully present, aware of where we are and what we’re doing, and not overly reactive or overwhelmed by what’s going on around us.’ Easy to say but much harder in practice in the 21st century. Online news is more popular than traditional newspapers. Add into the mix the Independent become the first national newspaper title to move to a digital-only future accompanied by a plethoria of magazines and media titles beefing up their digital offering and it’s plain to see – gaining coverage in the digital media is a vital skill set for any PR professional. This online course will help you become more streamlined in the way that you work, offering practical advice to help navigate through today’s busy and often stressful professional environment and get more of the important tasks done. This online training session, created by GWPR together with ICCO for mid-career PR women, will help you develop your leadership skills. The session includes practical tips and guidance from senior PR women at the very top of their profession, who tell their story on how they succeeded in getting into the boardroom. This course will help you develop the right skillsand attitudes to reach the very top of the career ladder. Facebook is the biggest social media network in the world, with 1.7 billion active users – and counting. But how can you harness the power of the platform? Discover how to create engaging content, grow your audience and make the most of Facebook’s incredible analytics. Get the lowdown on Facebook's ads and how you can make them work for you. Plus, be in-the-know about the latest developments, from FacebookLive to Messenger. This webinar shows you how to make the most of the world’s most popular social media platform, with handpicked case studies and takeaway tips. Google Analytics is a key tool in the modern PR and communications professional’s armoury. It can give us tangible data on how our online and offline campaigns are performing. It shows what a company’s audience is interested in, where visitors arrived from, what the company ranks for on search engines, and more. Communications professionals and agencies are increasingly tasked with communicating about sustainability-related issues. Whether you work in-house or at an agency, this webinar will help you to get a better grasp on how to do it well. For decades there was a formula, tested over many years, for good crisis management. Now, with the dawn of the internet a reputation can be destroyed in hours rather than months and not only by an army of protestors but by one individual. The internet has levelled the playing field between resource rich organisations and the lone disillusioned ex employee, customer or activist. Snapchat has gone from being a simple photo and video sharing app to a PR and marketing tool that PR professionals simply cannot ignore. PR is coming under increasing scrutiny from clients and management to be accountable and prove its worth. At the same time some of the traditional methods of evaluating a PR campaign are being dismissed as lightweight and ineffective. Add in to the mix the many new theories and methods of measuring the impact of a PR campaign and it is clear that effective evaluation of PR is a vital piece of knowledge for a PR practitioner. 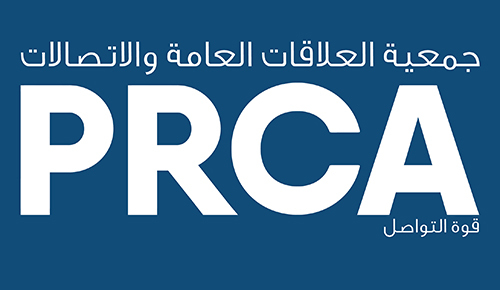 This PRCA Webinar is an intensive and highly practical session. With two launched every second, blogs have become one of the most hyped internet tactics to promote organisations and help them communicate with their key audiences. Every client wants to create one but most are left feeling disappointed by a lack of success, no readership, little interaction or worse – just negative engagement. But blogging can be immensely powerful for an organisation if constructed right and deployed correctly. With our new workshop entitled Understanding Search in a Social Media world, you can learn how to stay ahead as the battle for social search takes its grip. With 100 million users, Pinterest has found its place among Facebook, Instagram and Twitter as a social media heavyweight. The digital pinboard is so much more than an inspiration scrapbook; it can help you build an identity, engage and grow an audience, and generate sales.